Dubai: It was a time when electricity was scarce, the UAE dirham was yet to exist and highways were nowhere to be found - and everyone knew each other in Dubai. 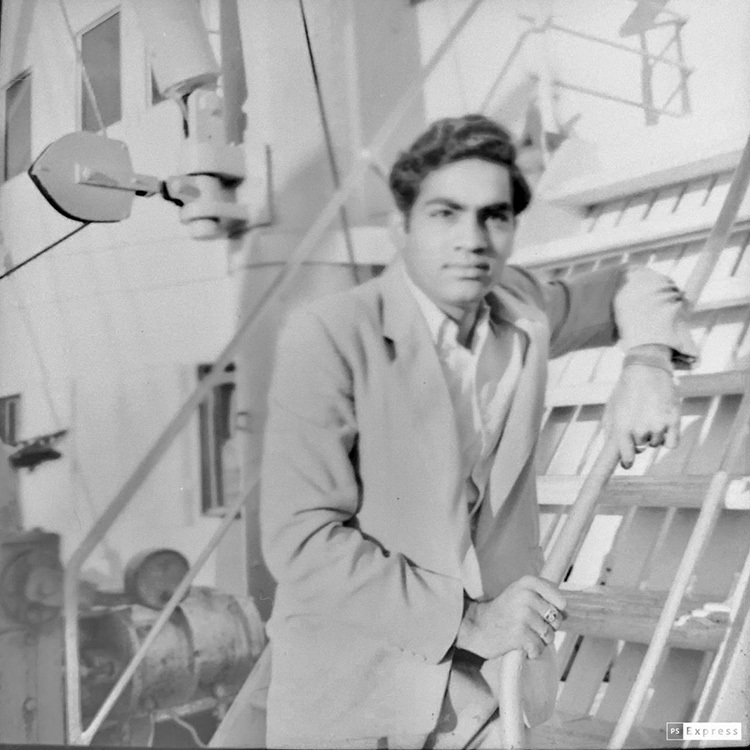 He is a living repository of a fascinating time — when it took five days on board a steam boat to reach Dubai from Bombay (now Mumbai). 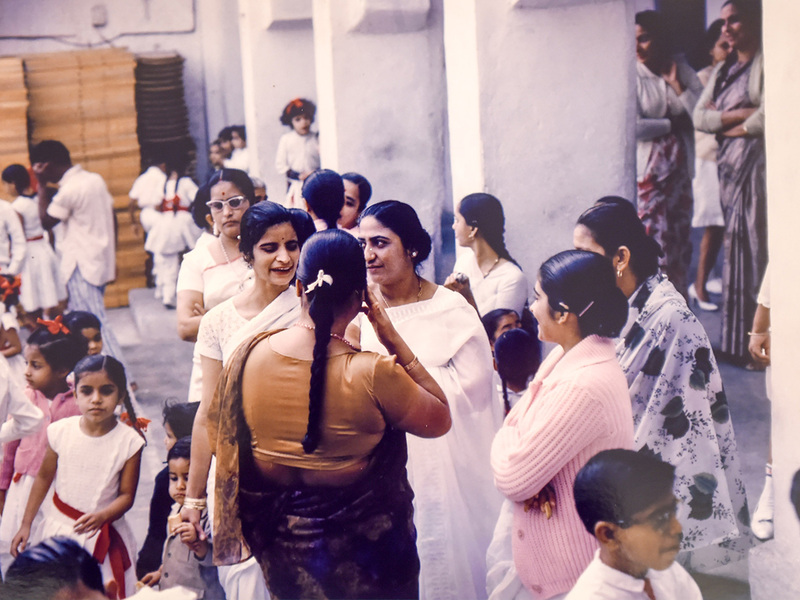 He possesses a treasure trove of photos that he personally clicked showing a bygone era, having assiduously documented the past six decades that he has made Dubai his home. 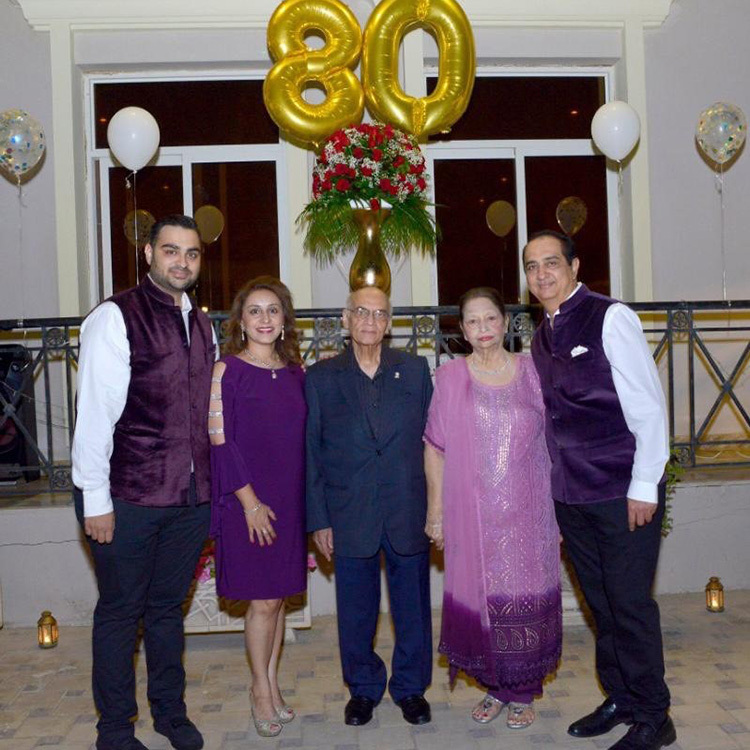 As chairman of Radiant Traders and Royal Gardens Centre, Sawlani is a successful entrepreneur. 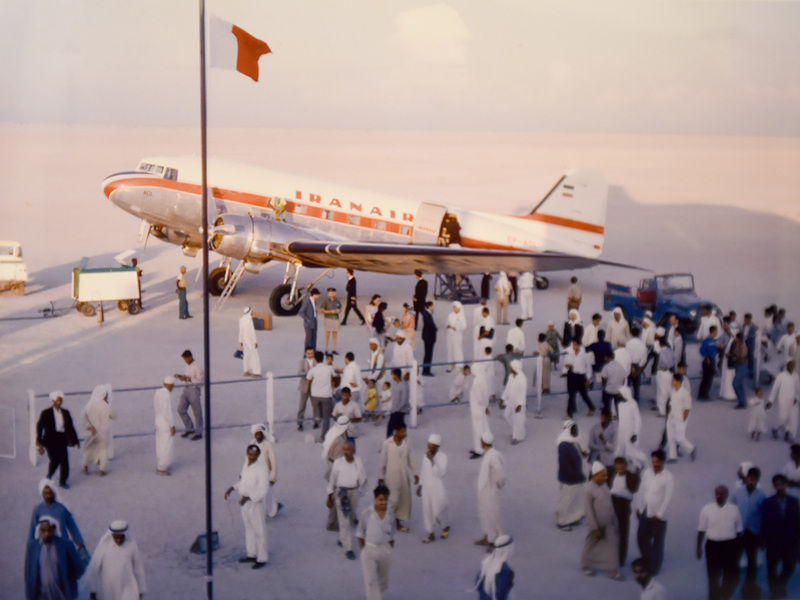 Radiant, a Dubai group of companies engaged in trading, retail and services, has been in existence for over 50 years. He built this multi-million-dirham business with sheer grit and hard work. 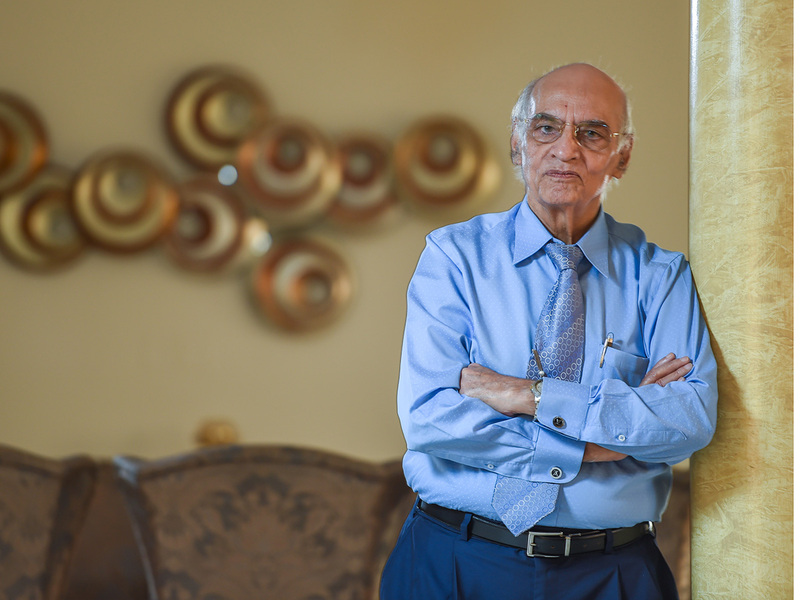 We meet the veteran businessman at his posh villa in Al Barsha. Then he mesmerises us with his delightful tales of life experiences. As a businessman, his story pretty much mirrors that of Dubai's. 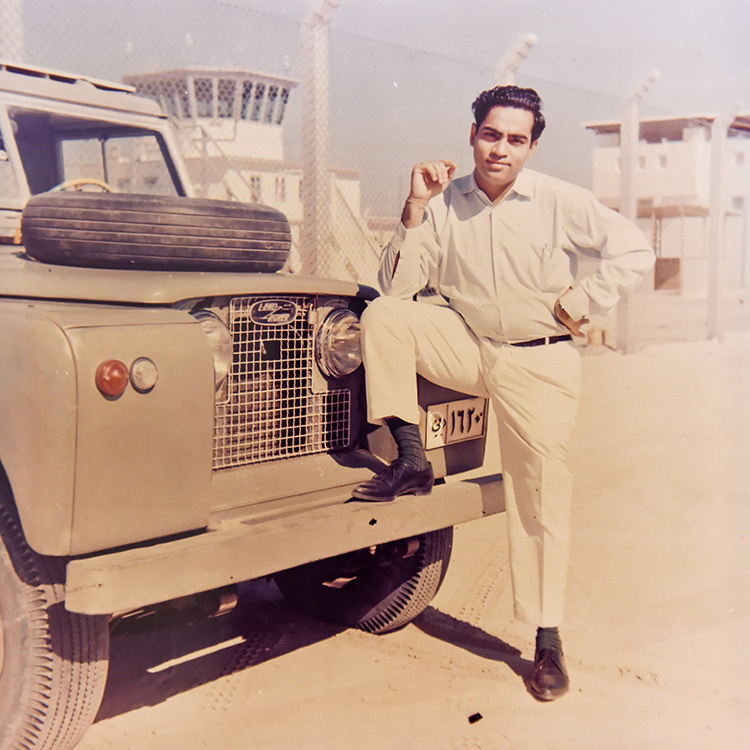 Take this: Sawlani came to Dubai in 1958 after completing his graduation and his father eight years earlier. He paid Rs50 for the entire journey. The ships stopped mid-stream and passengers were transferred to several other smaller boats that took them ashore. There was no proper port, only a Customs house, he recalls. From Customs, everyone walked to their respective accommodation and office. Life then was much simpler. 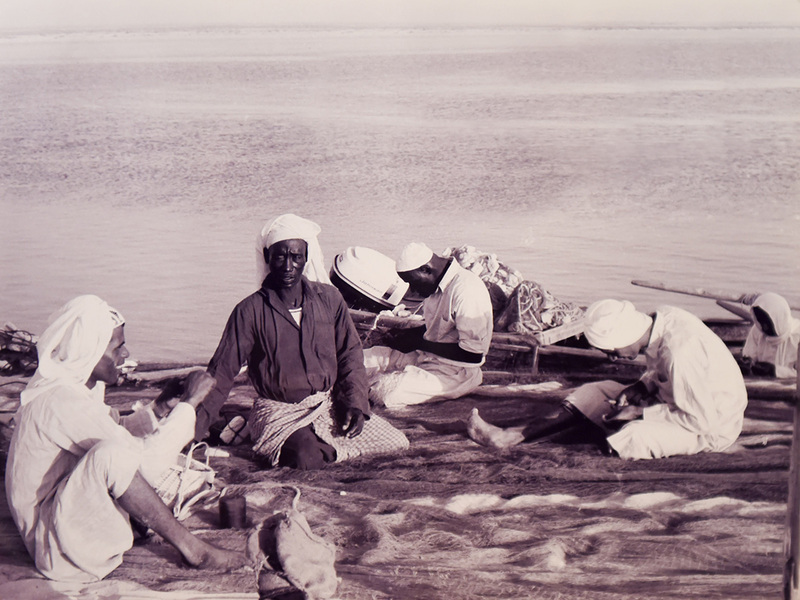 Dubai's trading tradition has a long, colourful history. For traders, there were no restrictions on imports and exports in the 60s, said Sawlani. Most things then came from Japan – be it electronics or textiles. It was the biggest supplier to us. In the 50s and 60s, it was impossible for a saloon car to survive as there were no roads or infrastructure. In the 70s and 80s, Japanese cars started making their way [here]. The British Political Agency was responsible for the affairs of the expatriates and they handled visa matters. “The visas were renewed every year." Those coming to the Dubai or any one of the Trucial States for the first time had to get a no-objection certificate (NOC) from the agency, he recalls. 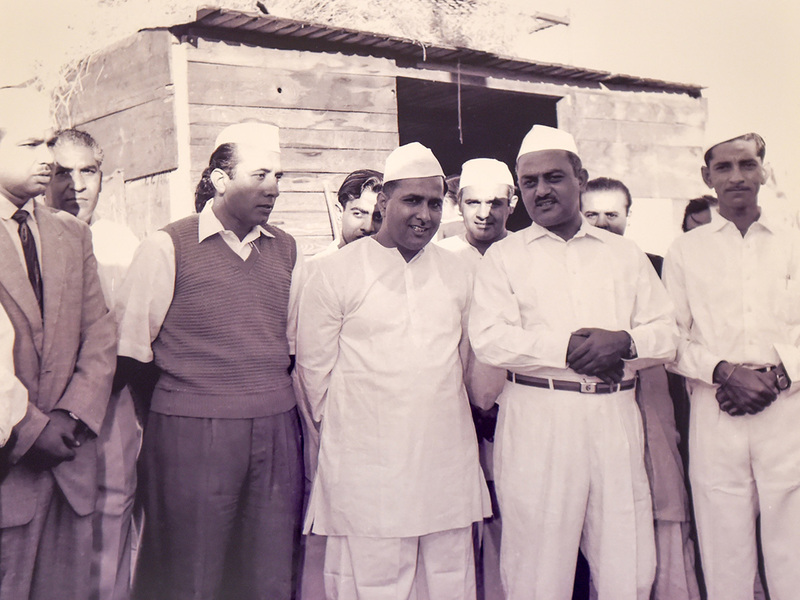 "On our part, once we received the NOC, we took this along with our original passport to the British High Commission in Mumbai for stamping the visa." "If someone was going on vacation, the British Political Agency would stamp a return visa on our passport which would enable our re-entry to Dubai and the Trucial States." Sawlani said as a 20-year-old in Dubai, he would be left awestruck when the late Shaikh Rashid Bin Saeed Al Maktoum would come to greet him. 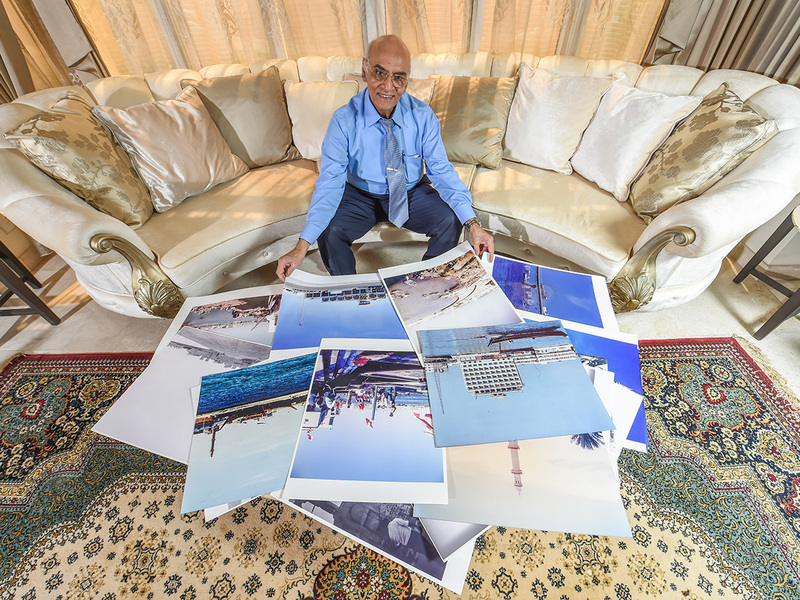 An avid photographer, Sawlani has captured the sights and sounds of Dubai through his lens. He lets us into his massive photo collection which he captured in various cameras including a Yashica-D camera, and we are quite impressed with his razor-sharp memory and storytelling ability. 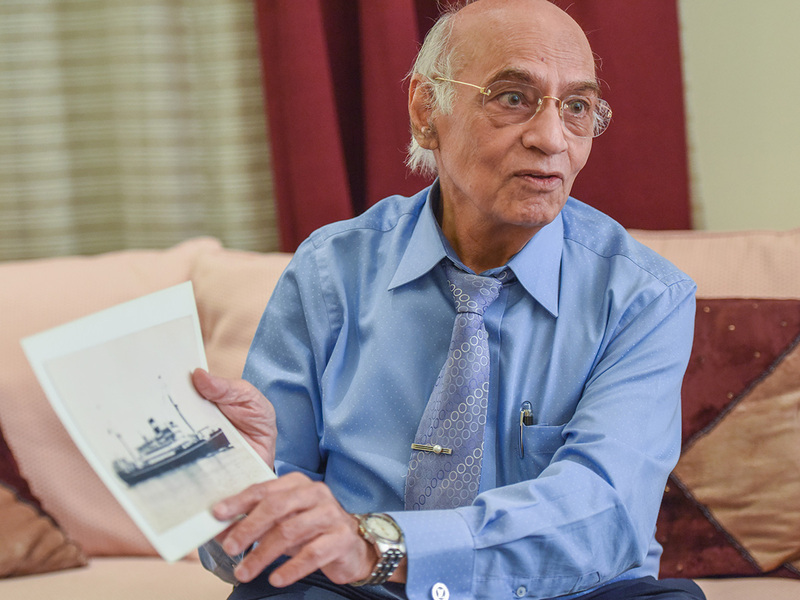 One such story he tells us about is of Motor Vessel (MV) Dara which sank 58 years ago today (April 8) off Dubai–Sharjah waters. 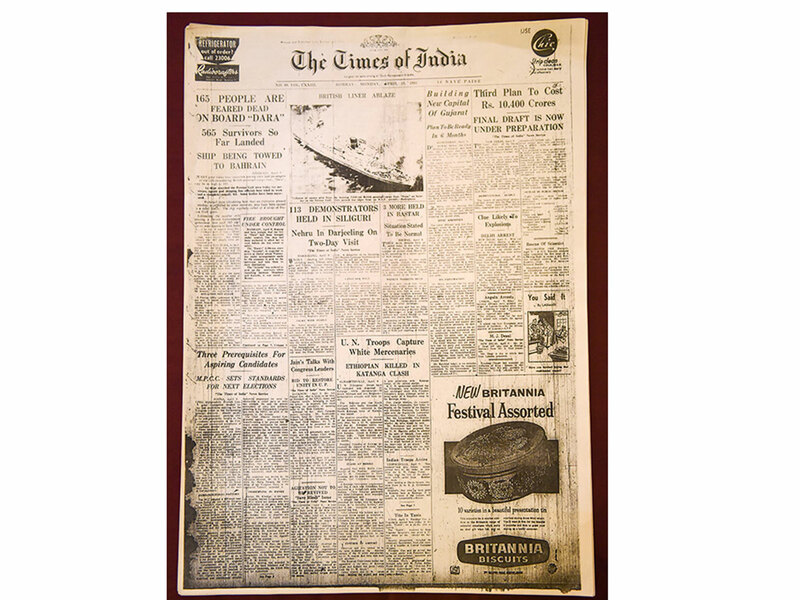 Tucked away in a corner of his photo collection is a stack of colour prints of a 1961 print edition of Indian daily ‘Times of India’. The date is April 9, 1961, and the day Sunday. 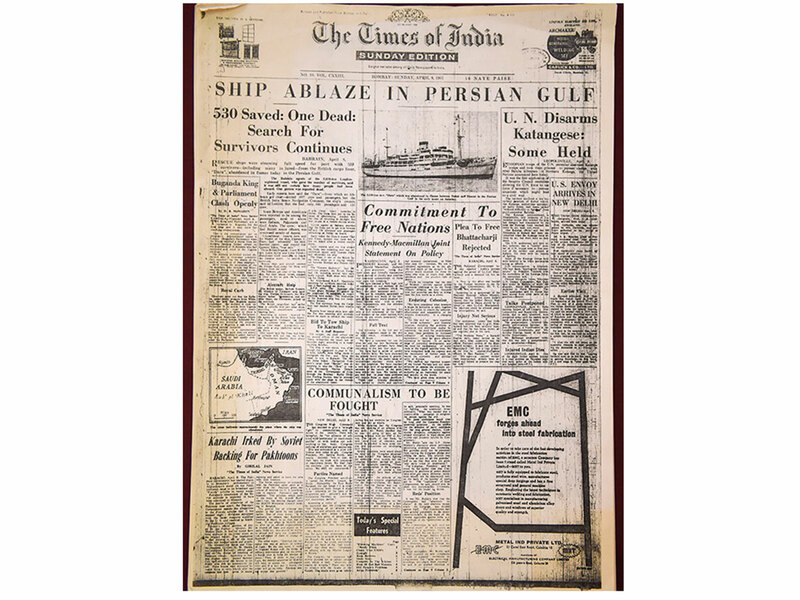 The lead news on the front page reads ‘A ship ablaze in Persian Gulf’. It is the news of Motor Vessel (MV) Dara sinking in Dubai-Sharjah waters. 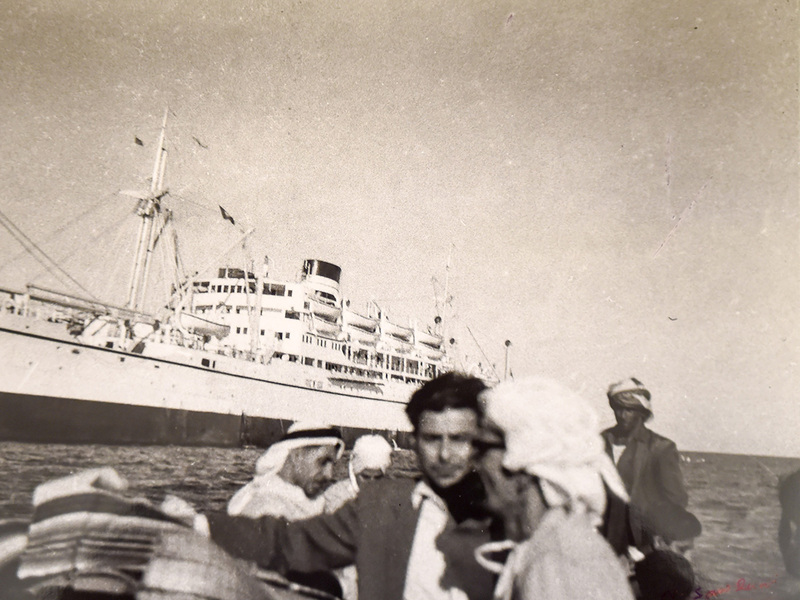 The ship carried several thousands of people from India to Sharjah and vice-versa. 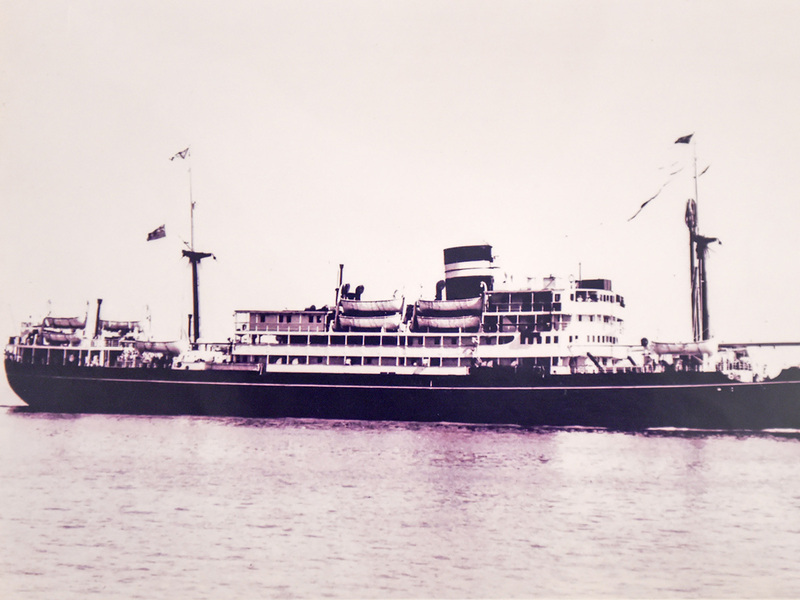 For the uninitiated, the MV Dara initially set off from Bombay (now Mumbai) on March 23, 1961, and made her way on a three-week circular route around the Gulf ports of Muscat, Dubai, Bahrain, Abadan and Basra. It arrived in Dubai on April 7, and as it was unloading cargo and disembarking passengers, a storm broke out and it was then decided by the captain to take the ship out of harbour and travel into the storm. The next morning, a large explosion occurred onboard, which started a series of fires. As a result of the explosion, the vessel sunk. On April 8, 1961, the world woke up to the shocking news of this vessel sinking in Dubai–Sharjah waters that claimed 238 lives. It was the largest significant event of a ship sinking after the Titanic. The vessel now lies at a depth of 20 metres and has become home to marine life and a dive site for clubs across the UAE. The British-India Steam Navigation Company's vessel, which weighed 5,030 tonnes, has broken up because of the waves and the MV Dara is now slowly rusting into the seabed. 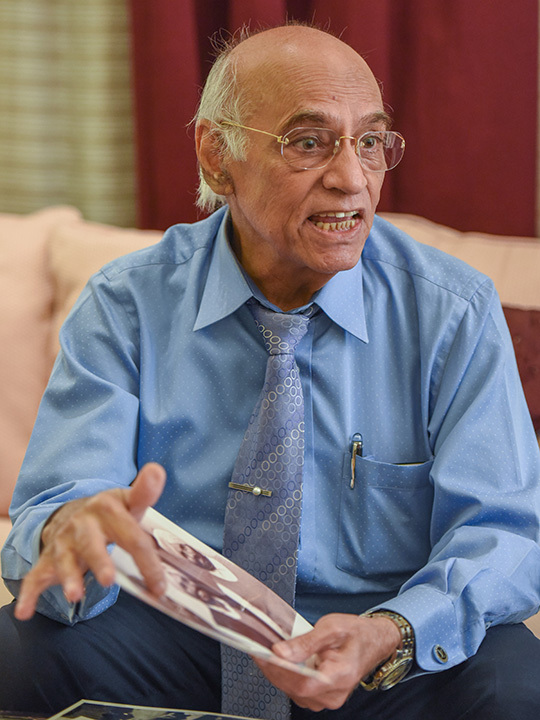 But for 81-year-old Sawlani, the tragic incident touched his life in more ways than one. As someone who has travelled several times to and from Dubai on this ship, there were several memories and sentiments attached with the vessel. “We would sit five long days in the deck which was not an easy task. But we all left our homeland with a purpose. Dubai was the promised land and we came here to avail a better life. Back in the days, there was hardship, but we were ready to bear it all,” said Sawlani. 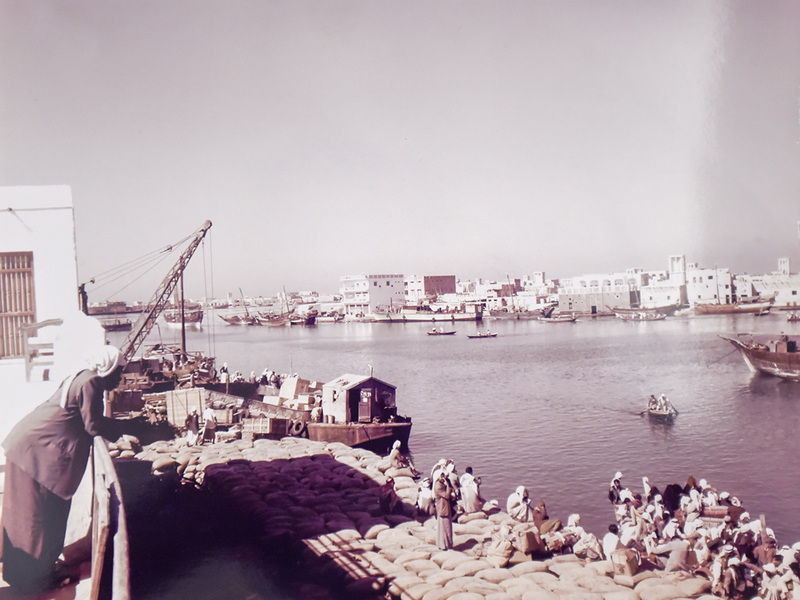 MV Dara’s voyage was from Basra to Karachi via Mumbai, Kuwait, Bahrain, Doha, Dubai, Muscat and Gwadar. Like me, hundreds and thousands of people made several trips on MV Dara and when the ship sank it came as a cruel blow to all of us. “There was a person on board who knew swimming and he was a hero that day. 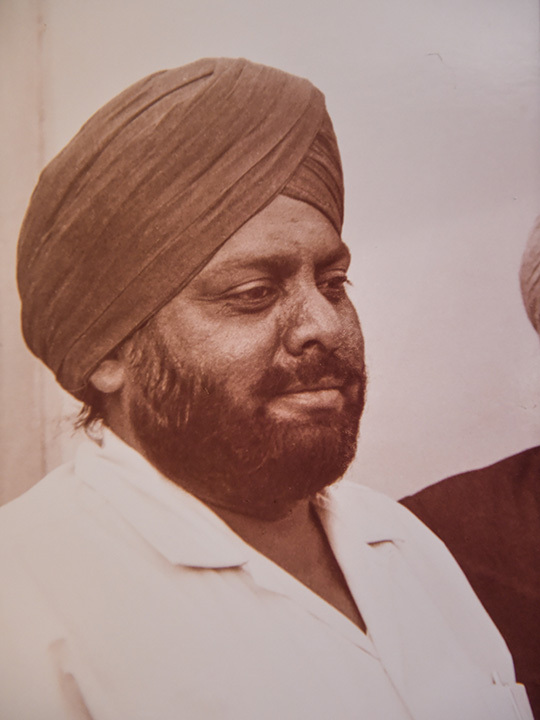 His name was Ajit Singh and I have a photo of him. He lived in Dubai and worked in the city. 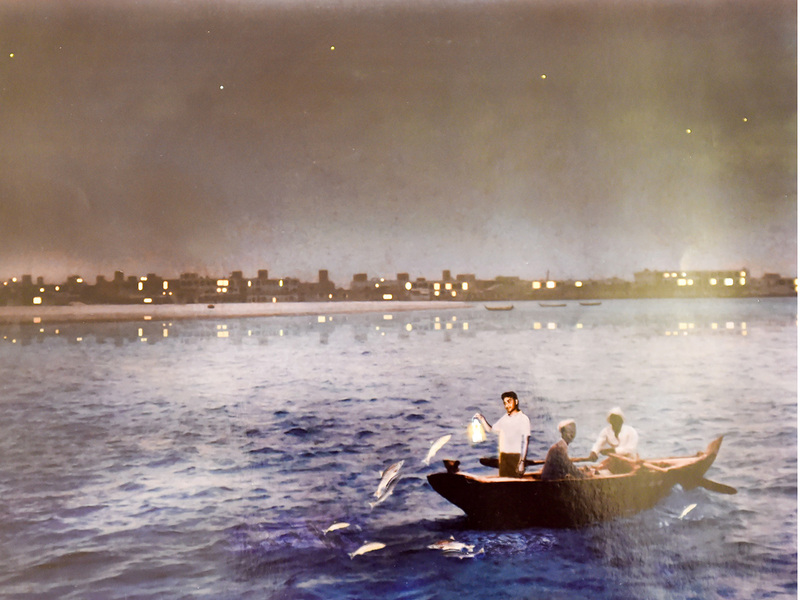 People called him a Haji as he was continuously pulling people out of the water and taking them ashore. People from the ship saw this and were pleading him to rescue them. They said ‘Haji take save us’. He was a hero. Unfortunately I do not know where he is now, but I hope he is happy wherever he is. This man was a life saver,” he said. As we skim through the pages of the old edition of the Times of India newspaper, which Sawlani bought rights to, we cannot help appreciating the passion of this man. “Collecting old records is my hobby. 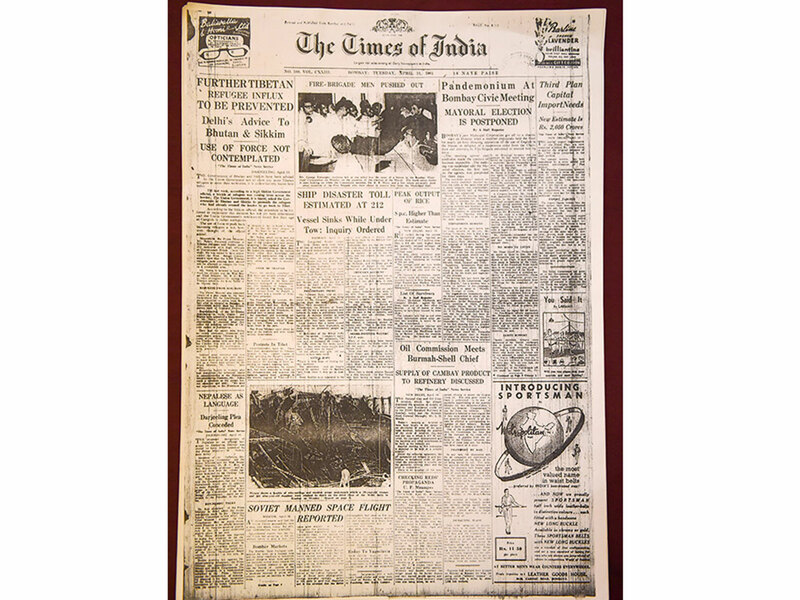 I paid several thousands of rupees to buy these 1961 editions of Times of India carrying the MV Dara news. It is my hobby and passion. I did not mind at all. The incident touched my heart in more ways than one and this was something I had to do. 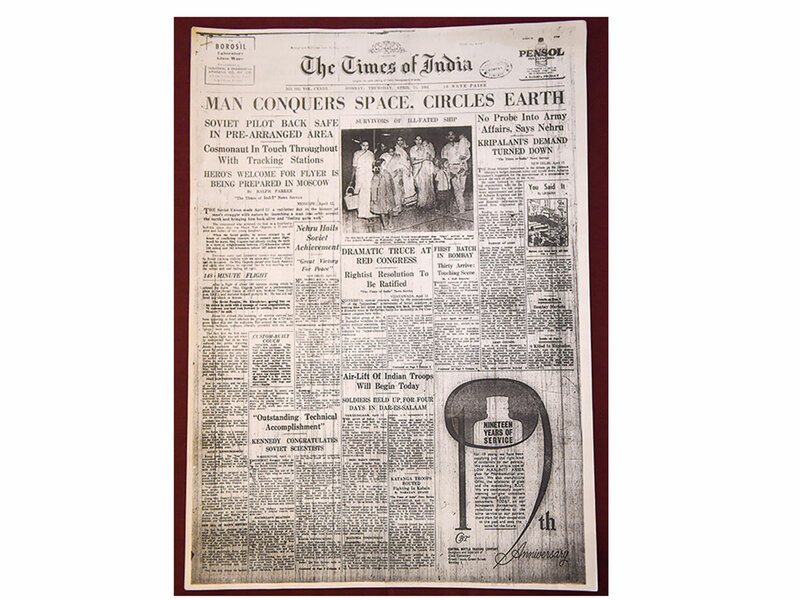 I spent time digging through the archives section of Times of India to source these papers. And I am happy I was successful,” he said. 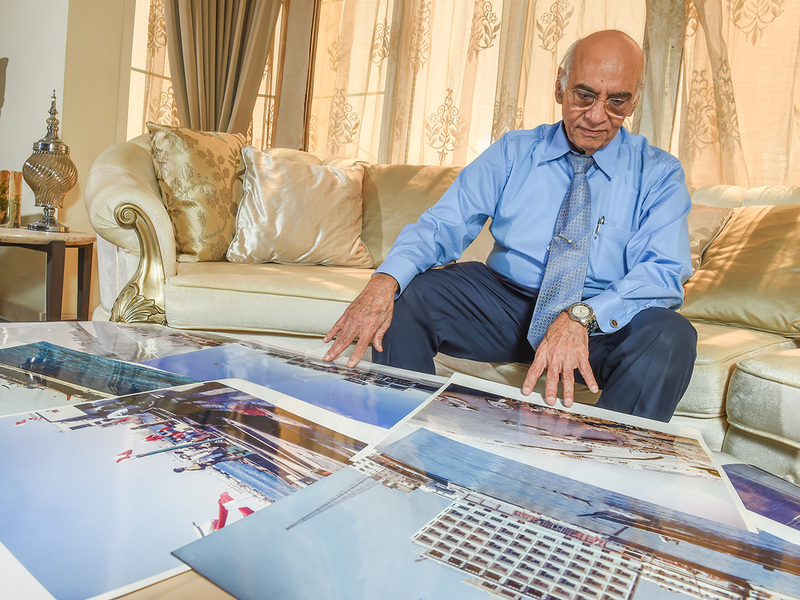 The successful businessman of Dubai who has lived in the city for 61 years has many such tales to tell. As Dubai grew, so did his life and this gave him plenty opportunities to capture the sights and sounds of the city whether through the lens of his camera, or his observation of events which he replayed on digital photos and paintings. “Every photograph I have captured tells a story,” said Sawlani. Sawlani has four children and a dozen grandchildren. "My son Sunil is the oldest. He has two children. My daughter-in-law is an all-rounder and more like my daughter. I feel blessed and cannot thank the land of UAE enough for all the support I have received.